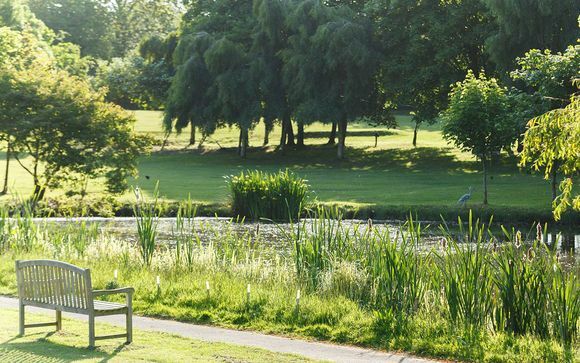 Champneys Springs 4* is situated in a tranquil setting in Leicestershire, surrounded by water walkways and beautiful open parklands. Pamper and spoil yourself with the finest Champneys traditions of health, fitness and wellbeing. Our valued members will enjoy Full Board basis for a truly comprehensive, healthy, and relaxing stay. In a tranquil setting in the Leicestershire countryside, surrounded by water walkways and 31 acres of beautiful open parklands, You will find Champney's Springs - a cocoon of calm, ready to melt away your stress and leave you feeling refreshed. Champneys were pioneers of the concept of holistic wellbeing, the first UK health spa chain and the first purpose-built health resort, all located in the English counties of Bedfordshire, Hertfordshire, Leicestershire and Hampshire. This pioneering spirit continues with state of the art facilities, cutting-edge medicine and sports science, and the newest and most exotic treatments from around the world. 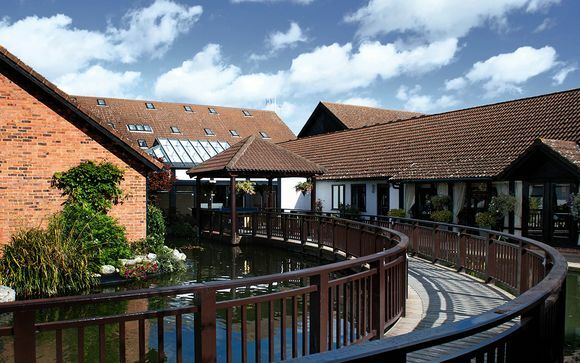 Springs spa hotel is home to the finest Champneys traditions of health, fitness and wellbeing, as well as a full size FIFA football pitch, all delivered with a touch of luxury in the heart of the Midlands. You can enjoy over 80 spa therapies at this health resort, from the classic to the more exotic, including treatments such as Cupping and Russian Honey Massage, Reiki and Personally Blended Aromatherapy. Afterwards, the pleasures of gym, swim, whirlpool and steam await. Please note: some services may incur additional charges payable locally. Available as twin bed rooms, all with modern décor, most with views across the grounds looking towards the tennis court and gym. 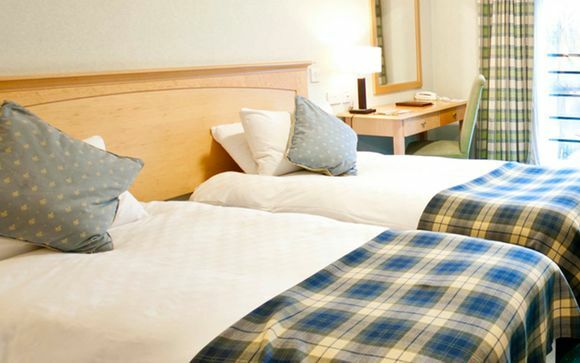 This offer is based on a Full Board stay which includes breakfast, daily lunch and a 3 course dinner each night. Head chefs and nutritionists work together to plan menus, relying on the principle of moderation, balance and variety. This means nutritious gourmet cuisine, in proper portion sizes, beautifully presented and using fresh locally sourced ingredients, often grown in the resort's own vegetable gardens. If you need to discuss any aspect of your diet with an expert, book a consultation with one of the in-house nutritionists, who will be happy to help you. They can also create a diet plan to follow during your stay and at home. Champneys Springs also offers Food Sensitivity Screening that quickly detects food intolerances and vitamin and mineral deficiencies.